Match the description with the clock. 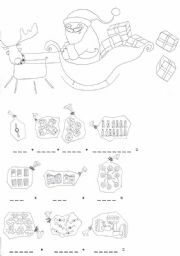 It is a worksheet for the PUS puzzle, but can be used on its own as well. SS TRACE THE WORDS ON THE LEFT, READ THEM ALOUD, MEMORISE THE SPELLING. 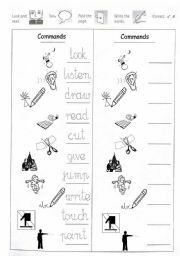 THEN THEY FOLD THE WORKSHEET AND WRITE THE WORDS NEXT TO EACH PICTURE. FCE - level reading comprehension (gapped text; detailed comprehension questions + vocab work). 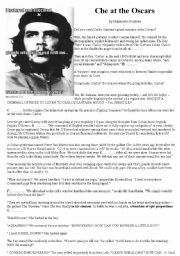 a possible lead-in to a heated discussion, since CHE is considered a hero by many teenagers. 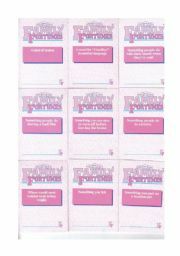 these come with my other 2 worksheets introducing the game: Family Fortunes GAME!! rules cloze, and Family Misfortunes. It was great fun! ss colour the face as indicated. it can be followed by ss drawing their own Potato Face and describing it in a similar way. These are the question sides for answers in the first set (you need to print them out and stick individually so that the questions come with the right answers :) comes with: "Family Fortunes GAME!! rules cloze" and "Family Misfortunes GAME!!! intro" Have fun! I did. 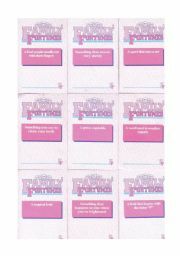 2 pages Cards (you need to print them out and stick individually so that the questions come with the right answers :) comes with: "Family Fortunes GAME!! rules cloze" and "Family Misfortunes GAME!!! intro" Have fun! I did. 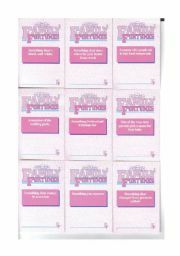 2 pages this time (questions and answers) Cards (you need to print them out and stick individually so that the questions come with the right answers :) comes with: "Family Fortunes GAME!! rules cloze" and "Family Misfortunes GAME!!! intro" Have fun! PUPILS COUNT THE PRESENTS IN THE SACKS AND WRITE THE NUMBER UNDER EACH SACK. THEN THEY ADD THE NUMBERS. THE ACTIVITY CAN BE EXTENDED: THE TEACHER TELLS THE PUPILS TO COLOUR THE BALLS ORANGE, THE TEDDY BEARS - BROWN ETC.